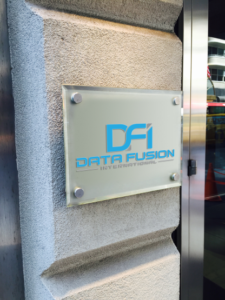 Headquartered in Dublin, Ireland, Data Fusion International (DFI) design and develop smart, intuitive technology solutions that enable our clients harness and fuse information from inside and outside their organisations. This provides our clients with a single composite view of whatever entity drives their business success – be that a customer, patient, passenger, criminal, or any other entity of interest. Our team of highly skilled professionals have diverse backgrounds in technology development, systems engineering, digital forensics, cyber-crime investigation, law enforcement, financial services and risk management. This mix of front-line expertise coupled with technical excellence allows DFI to deliver outstanding high-end software solutions to our clients. DFI is a privately held Irish registered company. What’s important to us is making our clients successful and therefore our focus is on delivering business solutions not just technology. We start by working with you to understand your business needs and we only finish when we can prove that we have delivered value. We focus on delivering solutions that work for your people and your business. We stand by what we promise and honour our commitments.